Search over 500 popular social networks, over 150 domain names, and the entire USPTO Trademark Database to instantly secure your brand on the internet. We secure your Business, Brand or Reputation by claiming profiles for you on 100 of the most popular Social Networks. Your logo, description, website URL, etc - Very effective for SEO and brand awareness. 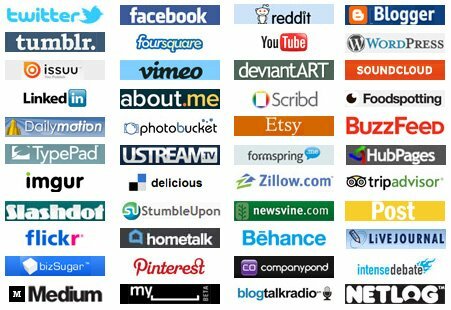 Complete Signup of all profile info: photos, bio, URL and description on the top 25 most essential and popular social media websites for personal branding. Complete Signup of all profile info: photos, bio, URL and description on 150 social media websites. Same as above, but for more sites - 150 of 'em! Complete Signup of all profile info: photos, bio, URL and description on 300 social media websites. Yup, 300 sites!